Kehinde Wiley is known for his contemporary urban takes on classic art. Particularly popular has been his World Series where he visited countries including Israel, China, Jamaica, and Haiti and painted subjects he met on the street. If you somehow haven’t seen his work yet, you must get going to the Brooklyn Museum where a collection of Wiley’s work is currently on display. The exhibit includes old favorites as well as some newer pieces ranging from paintings to stained glass to sculptures, and even some video. Judith and Holofernes is a piece that takes on several classical works that depict a beheading as described in the book of Judith (one of the books that isn’t part of the traditional Bible). Wikipedia has the story for you. Read it, or just dance till you’re dead. 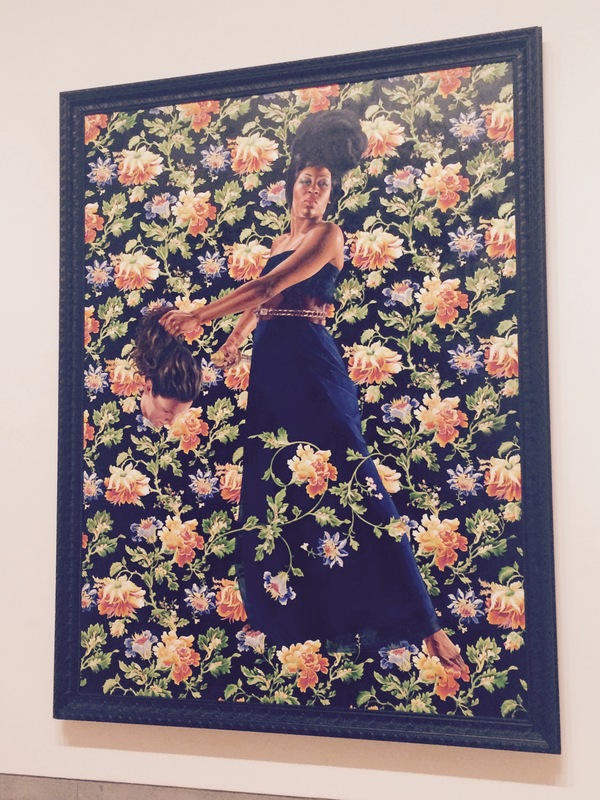 Kehinde Wiley: A New Republic is currently on display at the Brooklyn Museum until May 24th, 2015. Looking for Art? Make it A Movie Night! Follow Art is Now POP!